Reliable batch SVG Converter that works! You are here: CoolUtils > Total CAD Converter > Reliable batch SVG Converter that works! SVG format, also known as Scalable Vector Graphics, is one of the CAD formats. It is great for professional graphic designers and other advanced users who have to deal with graphic files. However, most computer users will find it hard to deal with files saved in SVG format. This is why CoolUtils - a software company with extensive expertise in development of conversion software - has come up with Total CAD Converter. 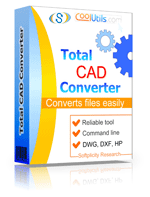 Download Total CAD Converter. It is available on CoolUtils website for free as an evaluation copy and for a competitive price of just $99.90 with a life-time license and 1 year of free upgrades. Install Total CAD Converter. This process is just the same as with any other application. Simply follow the instructions of the setup guide to complete installation. Launch Total CAD Converter via command line or intuitive user interface. To convert SVG files via command line, please visit this page to see what commands are supported by the converter. Select the SVG files you want to convert and then click on the button with the desired target format. It is located on the toolbar of Total CAD Converter. Click "Start!" to begin conversion of SVG files with default settings! 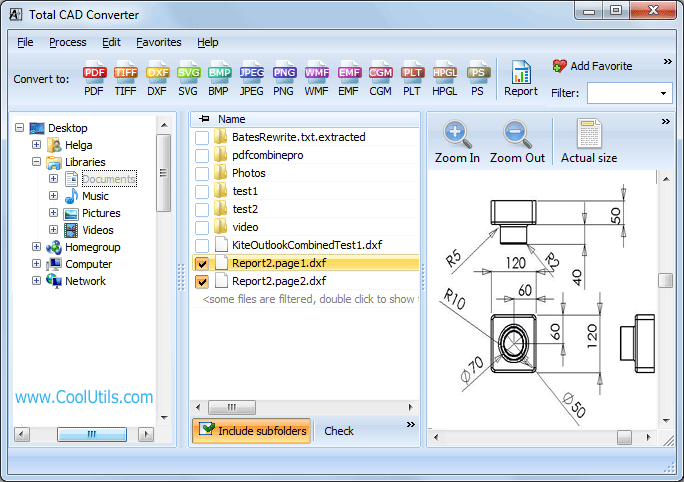 Get an evaluation version of Total CAD Converter today for free! 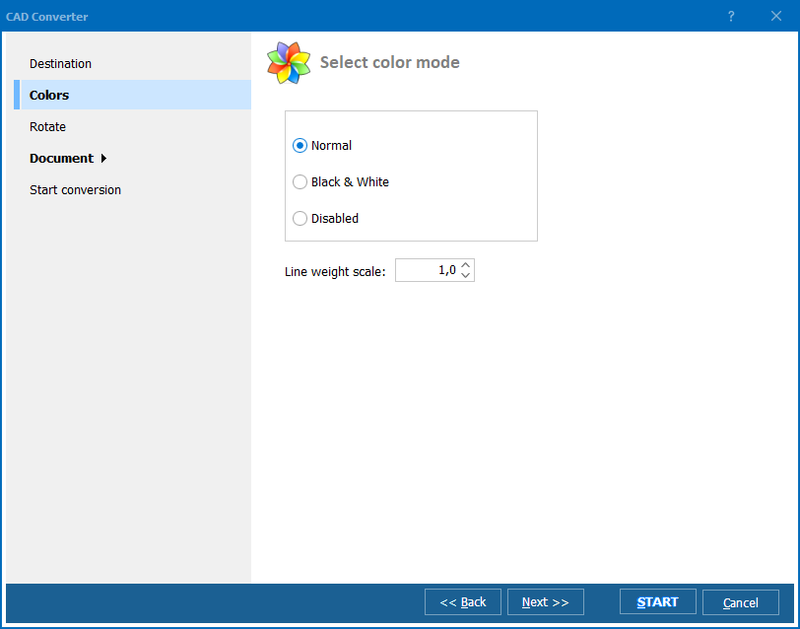 Batch DWF Converter by Coolutils. 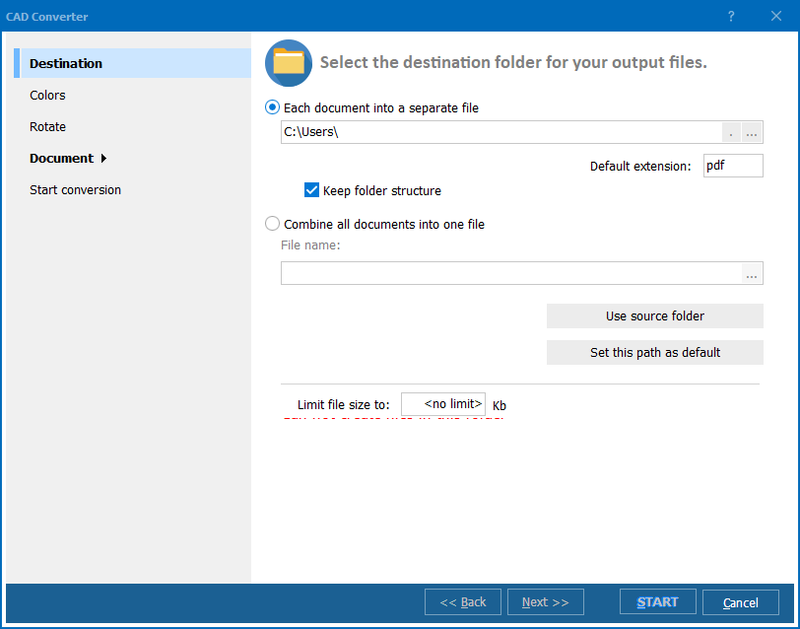 Converter DWF to PLT automatically.